Just when I had my craft room almost all cleaned up, I decided I needed to make one more card. I had recently purchased this “Be My Valentine” for My Digital Studio and was antsy to use it. I had also visited a few challenge blogs including Freshly Made Sketches, whose sketch was stuck in my head, and Stampin’ Up! Only, where the challenge is to create something with Valentine wishes, so I got to work and made this card. After all, it’s more fun to create than to clean up, right? 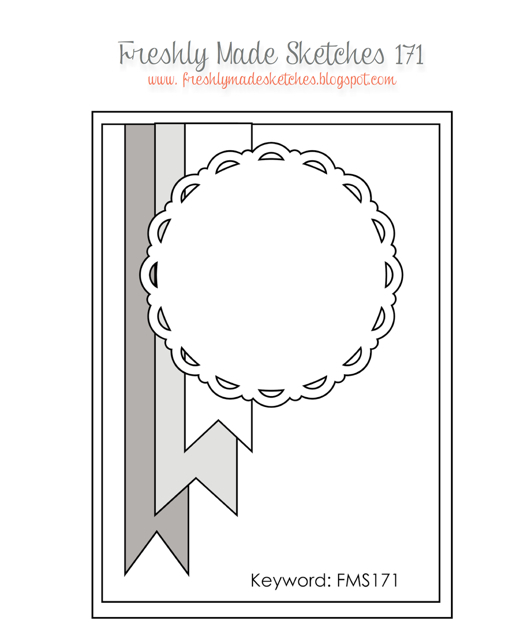 Posted in Cards, Challenges	| Tagged Be My Valentine Digital Download, Handmade Valentine's Day Card, Stampin' Up! Wow! This is so, so pretty, Michelle! Beautiful design with the layers, colors and DSP choices. Thanks for playing along with us at FMS this week! Thank you Cindy, I’m a huge fan of Freshly Made Sketches! Thank you- it’s so fun to receive nice comments in my in box! Thank you, Julie! MDS is so much fun and I had been wanting to join a challenge at SUO for awhile, so it was perfect! beautiful and elegant card!! So glad you joined in the fun with SUO challenges this week! 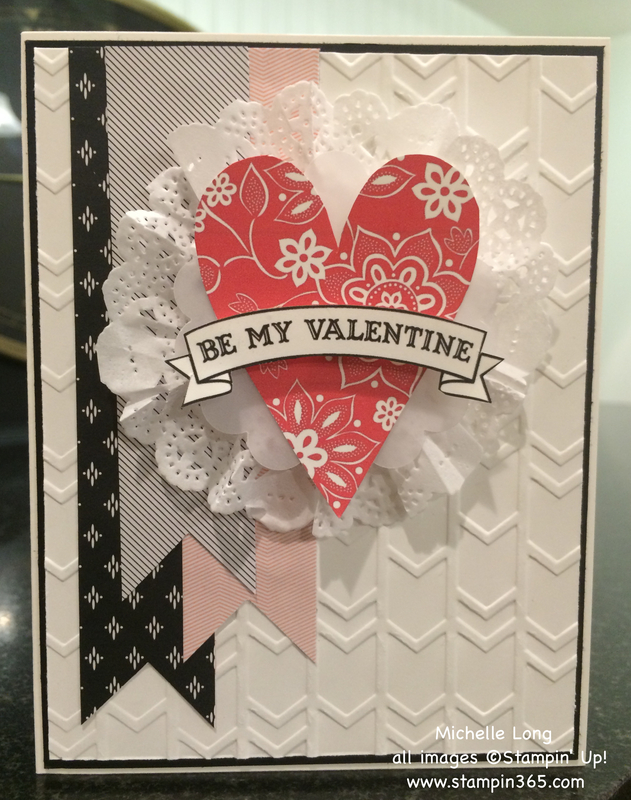 Wow…gorgeous card…love the floral heart with ruffled doily behind! Thanks for playing along with the Valentine Challenge this time on SUO Challenge! Thank you so much. I love SUO Challenges!